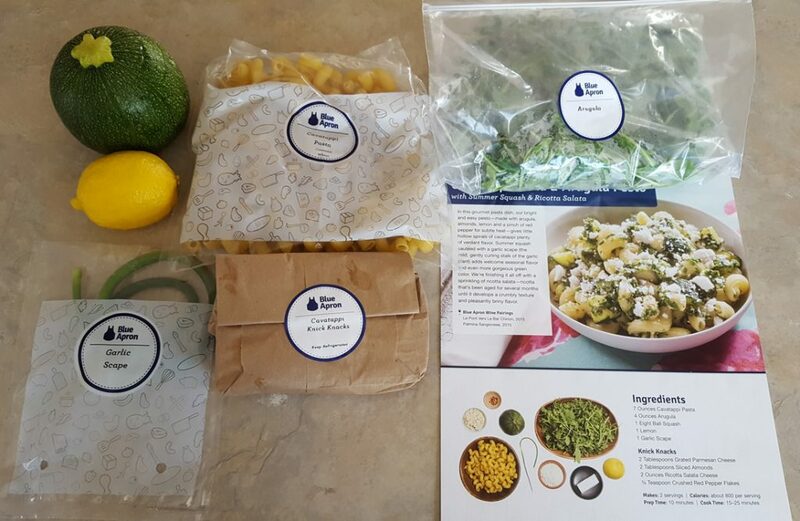 Blue Apron is one of the oldest meal kit delivery services out there. 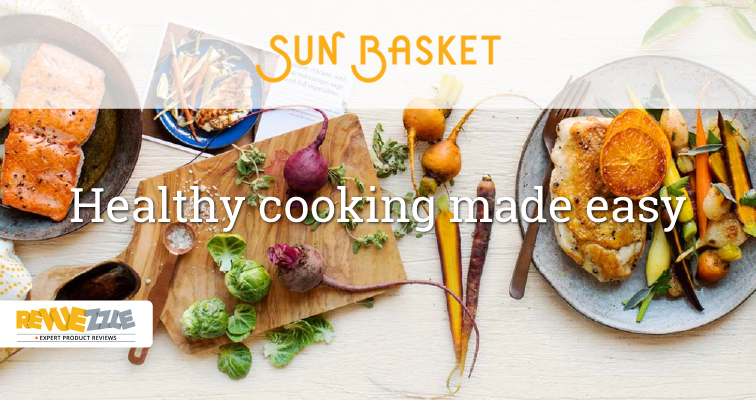 They work on delivering easy and fun recipes that will please the entire family. You can choose from meat-filled, vegetarian and more to accommodate any dietary concern and lifestyle. 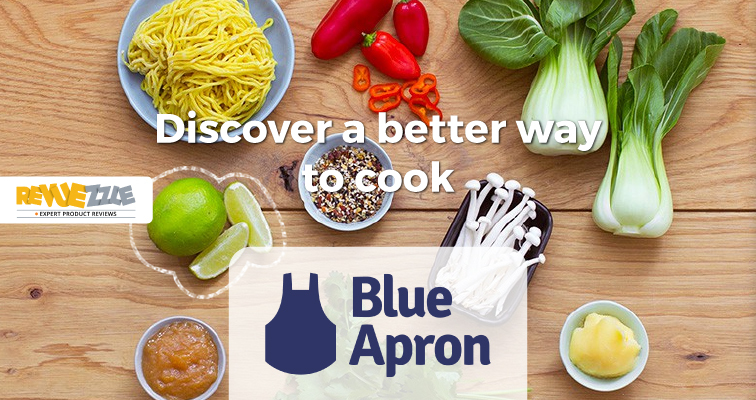 But, Blue Apron does come at a price – and we understand your hesitation about trying something new. 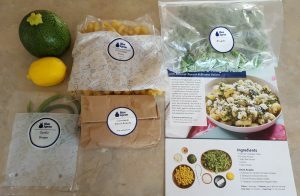 That is why we ordered up Blue Apron, cooked up their recipes and scrutinized every aspect of their meal kit to make sure it is right for you. Let’s see how they turned out, shall we? I was definitely interested in trying something with Peruvian flare. 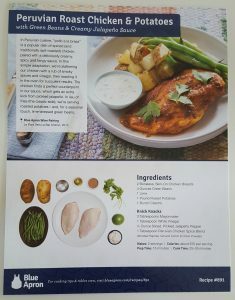 The recipe itself came with just a Peruvian spice blend – they didn’t tell you what was in it. So, this was unfortunate, because I would have liked to know how to recreate the spice blend. There wasn’t a lot of prep with this recipe. Most of it was just preparing the potatoes for roasting in the oven and chopping the herbs. This recipe was all done in the oven, which is rather convenient. You also use the same cookie sheet to roast potatoes and chicken – so less clean up after. The chicken had a good flavor, but not as “spicy” as I thought it would be. It tasted a little muted to me. The dipping sauce was okay, but could have used some more lime. As for the potatoes, they were cooked with no seasoning – not even salt and pepper. So, as you can imagine, they were extremely bland. Because the chicken didn’t have this super strong flavor, the entire dish was just okay. There wasn’t anything special or flavorful enough to remember. Would I Eat It Again? No, I wouldn’t. Like I said, the flavor was so-so and nothing remarkable. In all honesty, you could have swapped out the Peruvian spice mix with something else and it still would have just been generic. 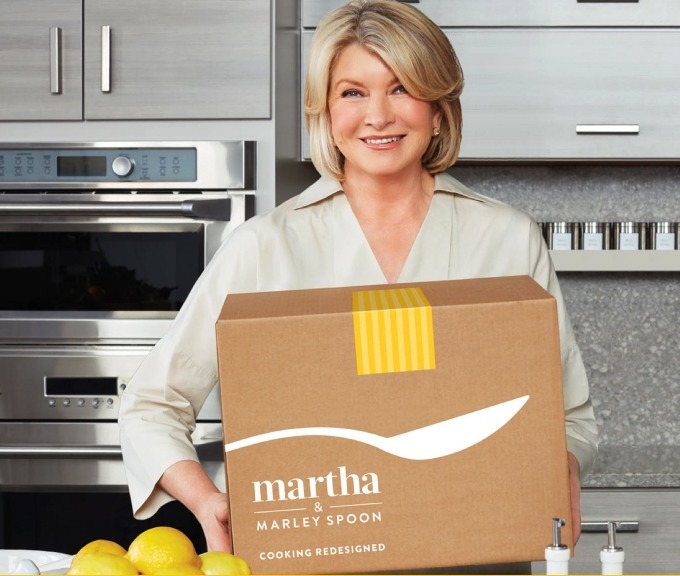 For the price of Blue Apron, I expected more. Myself and my son tried this dish and both of us agreed we wouldn’t eat it again. As a note, both my son and I the next day became ill with stomach issues. Since we were the only two that ate this dish, I assume that the dish was what made us sick. It should be noted that during shipping, our chicken leaked and the way everything was packaged, chicken juices got over all of the produce. While I did wash it, I may not have washed it as well as I thought. Therefore, we discarded the entire box. No one else in the house was sick; therefore, I’m fairly positive it was this dish. 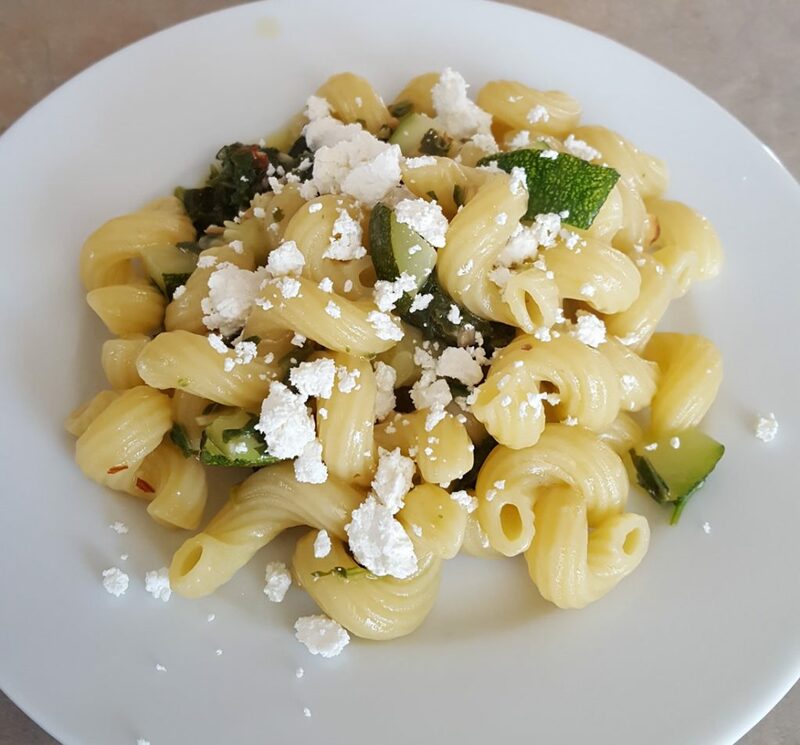 This recipe features cavatappi pasta – something you don’t see a lot of. Instead of the traditional pesto with pine nuts and basil, this recipe used arugula and almonds. It was finished with ricotta salata – one of my favorite cheeses. The prep for this recipe was rather simple. 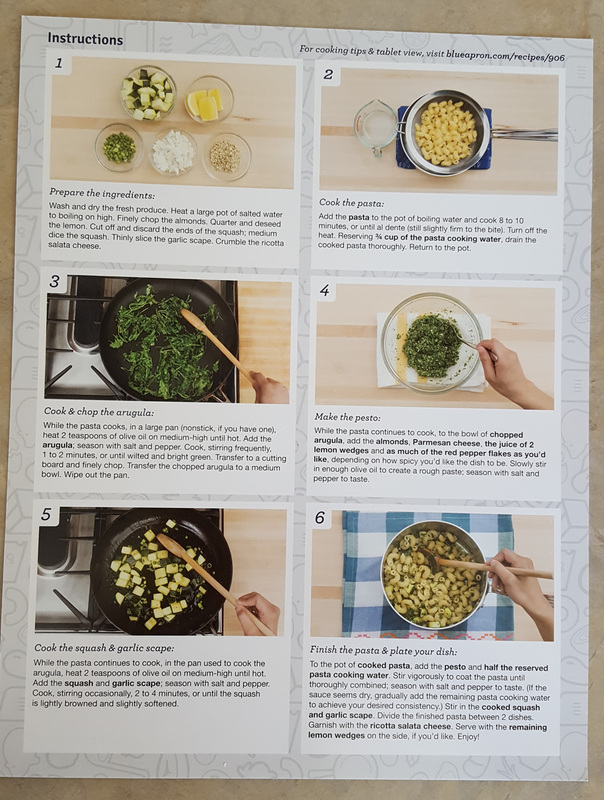 It took me about 10 minutes to complete and most of it was preparing the ingredients for the pesto. The recipe was rather simple. The pasta took the longest, but once that was finally underway, the rest of the recipe came together rather quickly. My one pet-peeve here is the “pesto”. Normally, when you make a pesto you use basil, pine nuts and olive oil and you blend together in a food processor. This ensures a nice, even consistency. 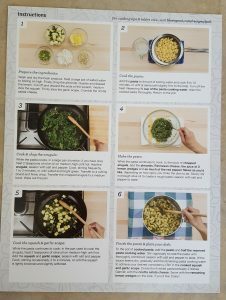 This recipe has you chopping the arugula and then mixing the ingredients together into a “paste.” But, unless you chop it very very fine, which the recipe card doesn’t necessarily instruct you to do, you will not get a pesto-like consistency. Instead, you get a watery, chunky mess that doesn’t really coat to the pasta like a pesto. 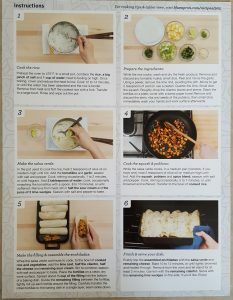 The recipe itself was very simple and doesn’t require a lot of cooking knowledge. The dinner was very flavorful. I enjoyed the lemon and the “pesto,” but as I had said before, the pesto was chunkier and didn’t necessarily come together like a true pesto pasta. But, the flavor was nice. One issue was the ricotta salata was rather bland. While ricotta itself isn’t massively flavorful, salata is typically slightly saltier – which this pasta dish desperately needed to balance out the flavors. 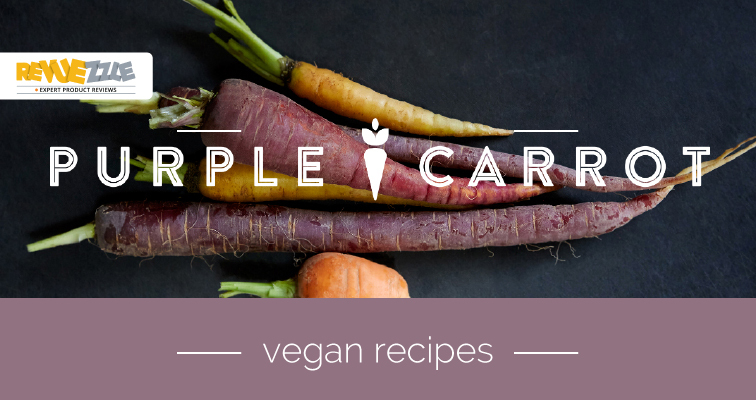 I ate this recipe with myself, my mom and my 4-year old. All three of us enjoyed it and would eat it again, but we also all agreed it needed some salt. 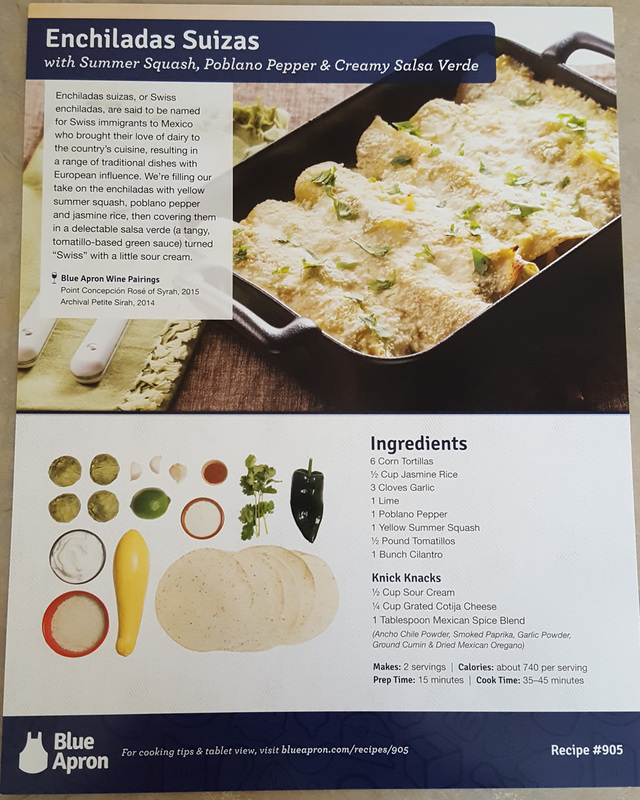 Enchiladas suizas is a chicken enchilada dish that features a tomatillo-cream sauce. It’s cheesy, tangy and perfect for summer. 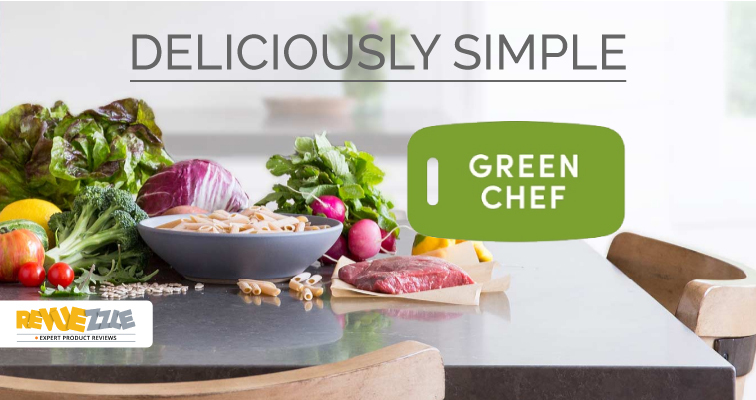 Blue Apron has you create your very own salsa verde using fresh tomatillos. While they don’t use the traditional Mexican crema and heavy cream, they do combine tomatillos with sour cream to give you that rich sauce. Most of the prep work came from getting ingredients ready for the salsa verde. 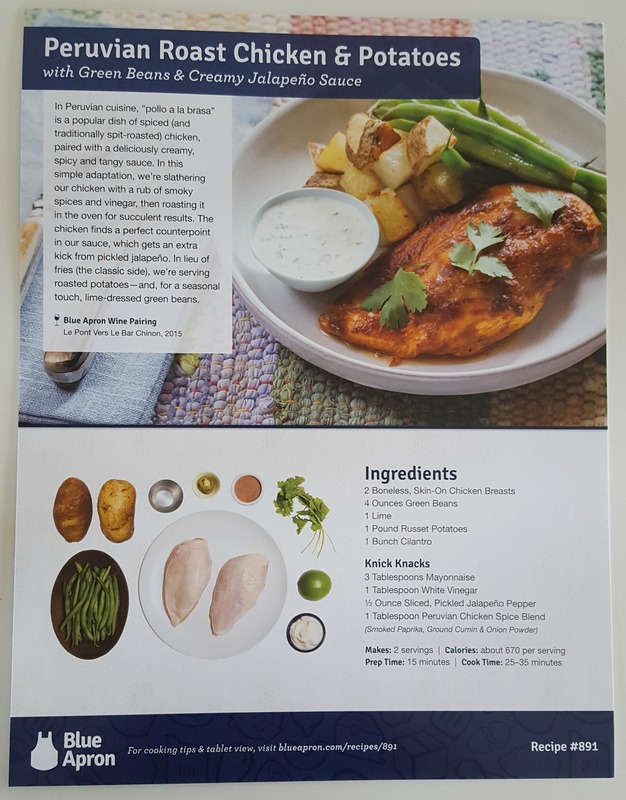 Because my Blue Apron box arrived warm, I had to replace the sour cream Blue Apron provided with my own – was not risking getting sick off warmed sour cream. Prep took me about 10 minutes to complete. 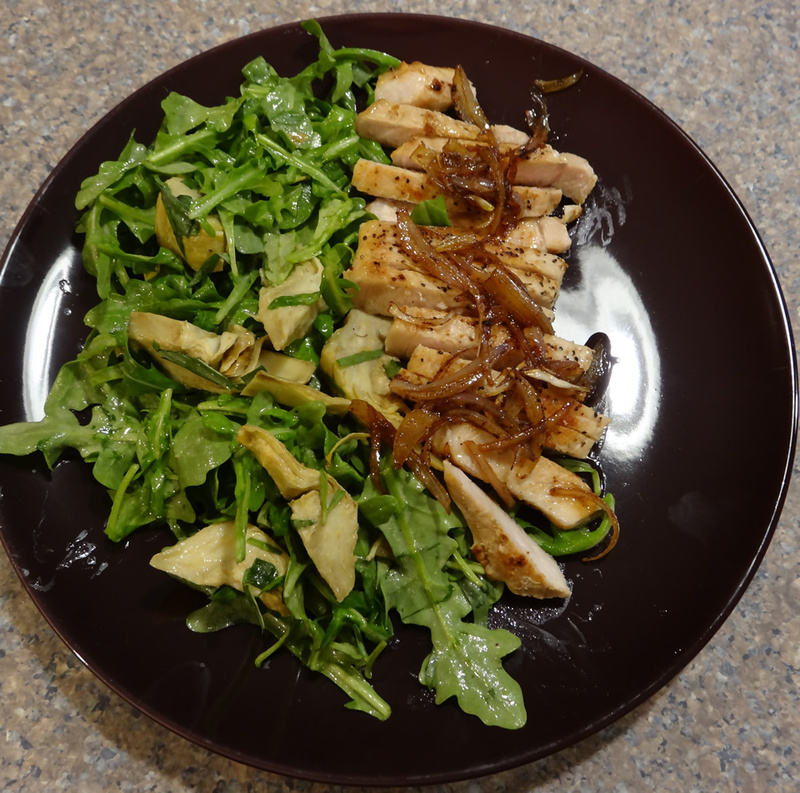 The sauce took awhile, but once it was underway, the rest of the dish came together quickly. This dish didn’t have meat; instead, it used squash. Majority of the cooking time was spent getting the sauce prepared and making the filling. You have to cook jasmine rice on the stovetop, but once you get that going, there isn’t much maintenance. 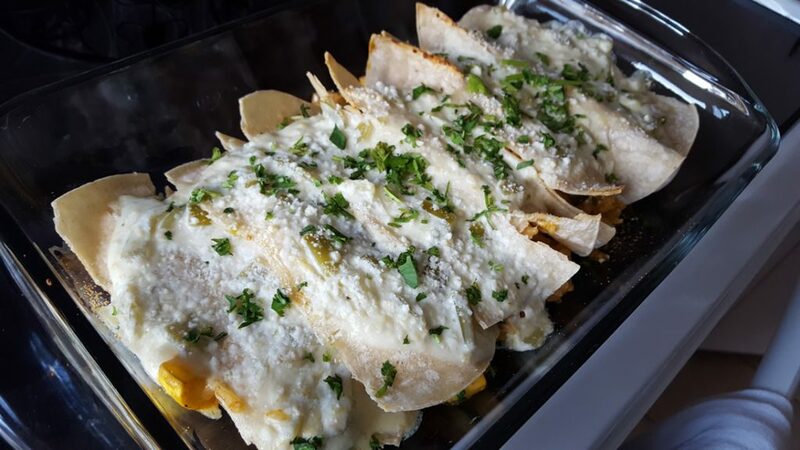 The enchiladas came together quite nicely and the final product actually resembled the photo. 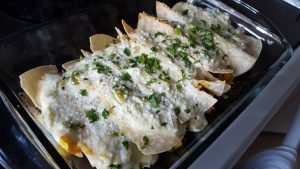 The taste was quite pleasant, but I do think it would have been better with the traditional Mexican crema and heavy cream – because the sour cream was extremely tangy in this dish. That being said, it wasn’t a deal breaker. Would I Eat This Again? Yes, I would eat this dish again. Even though it was a vegetarian dish, you didn’t miss the meat. The filling was extremely hearty – making seven thick enchiladas that were easily split between four people. Overall, Blue Apron was quite the disappointment for us. 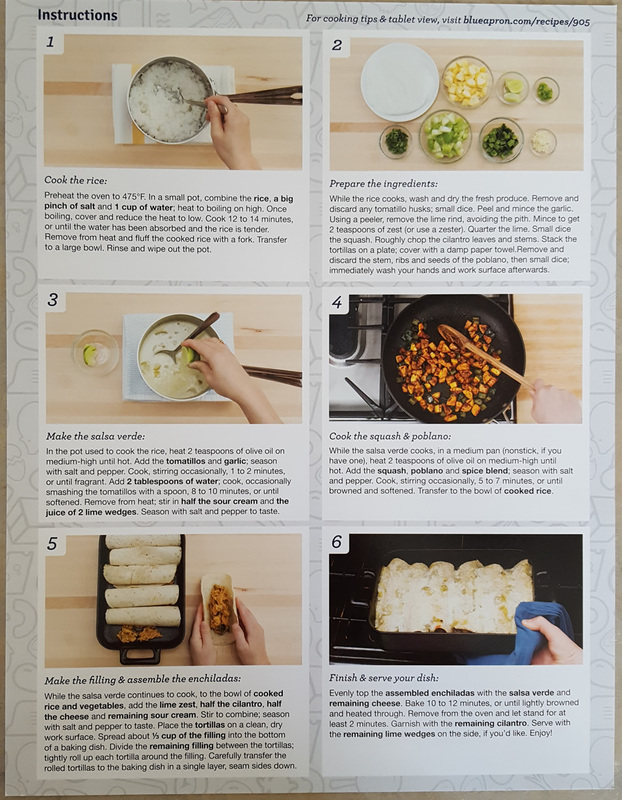 With the shipping issues, I received two boxes from Blue Apron, with six meals total, but I could only actually cook and try three total. 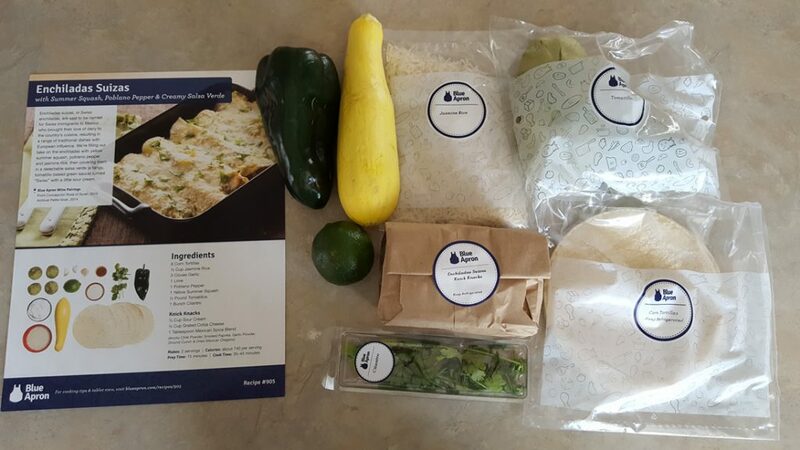 Even though I approve two recipes, I do not see myself ever ordering from Blue Apron again. 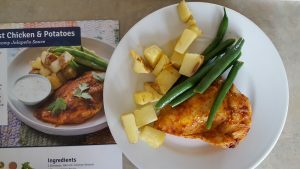 The shipping issues combined with the fact that two out of the three recipes I could try weren’t that impressive leaves me unlikely to try them again. Don't forget to read our full review of Blue Apron right here on Revuezzle. 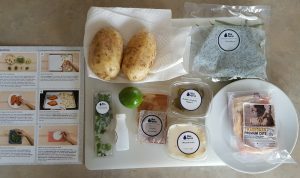 Want to browse other meal kit delivery services out there? Check out all of the reviews our staff has done and see which works best for you!